Amazon: DOSS Touch Wireless Bluetooth Portable Speaker with HD Sound and Bass Just $23.98 (Regularly $89.99) – Today Only! 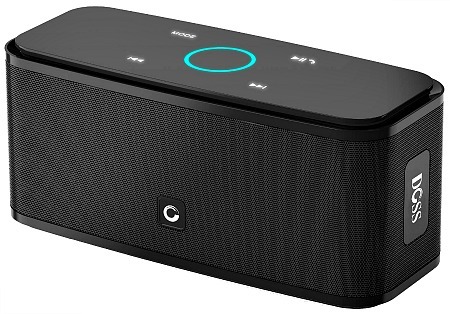 Head to Amazon.com where today only you can snag this DOSS Touch Wireless Bluetooth Portable Speaker with HD Sound and Bass for just $23.98 (regularly $89.99) with FREE Super Saver Shipping! Choose from the following colors: matte black (shown), ocean blue, passion red, and pearl white. Go on over and grab yours now. This Amazon deal of the day is valid June 9 only and while supplies last.